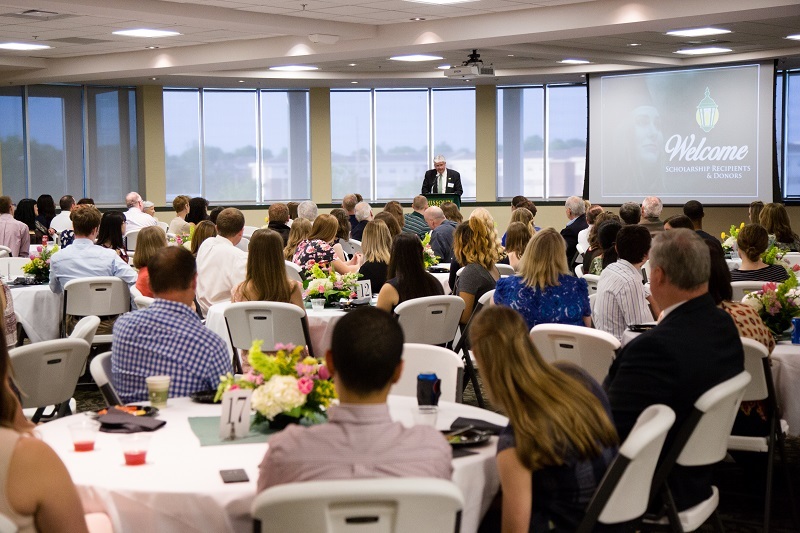 A reception honoring 2017 Missouri Southern Foundation scholarship recipients and donors will take place at 6 p.m. Monday, April 10, in the Billingsly Student Center ballroom at Missouri Southern State University. The event will allow scholarship recipients to interact with the donors who have helped make an education at Missouri Southern possible. Scholarship donors are thanked each year with letters from the student recipients, but this event also gives donors a chance to meet many of the students they have helped in person. Foundation scholarships come from private individuals, clubs, foundations, memorials and local organizations. Each donor has established the scholarship and has helped to determine the eligibility criteria. MSSU Foundation scholarships totaling nearly $850,000 were awarded to more than 450 students in the 2016-17 academic year. To discuss establishing a scholarship to benefit MSSU students, please call 417-625-3104. To be eligible to receive a Missouri Southern Foundation scholarship, students must apply through the Office of Financial Aid or online at www.mssu.edu/student-affairs/financial-aid/. For questions pertaining to the scholarship reception, call 417-625-9696.